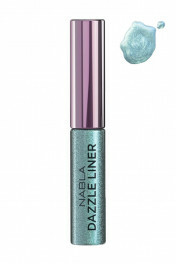 Nabla Eyeliner is lightly duochrome and extremely pigmented. Liquid gold with a chromatic effect in a mirrored texture which enhances the look with bright and sumptuous warm reflections. Ideal to frame the eyes or to create small decorative details, like filigree, which embellish the look by interpreting it in a unique and exclusive way. 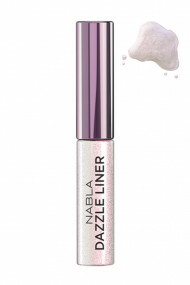 Nabla Vegan Liner is very easy and precise, it goes a long way without smearing ! A gorgeous result with NABLA Liquid Eyeliner ! The thickness of the line depends on the amount of pressure you apply. So, for a thin line, press the brush lightly. For a thinker line : apply slightly more pressure. On the upper eyelid, paint the line on the closed eyelid close to the roots of your eyelashes. 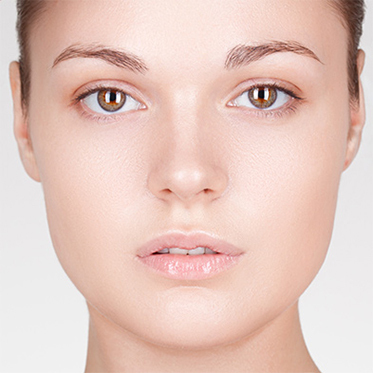 Start from the inner corner and move towards the outer end of the eye. The beautiful swatch of Klimt NABLA Vegan Dazzle Liner ! The beautiful swatch of Crystal NABLA Vegan Dazzle Liner ! The beautiful swatch of Purity NABLA Vegan Dazzle Liner ! 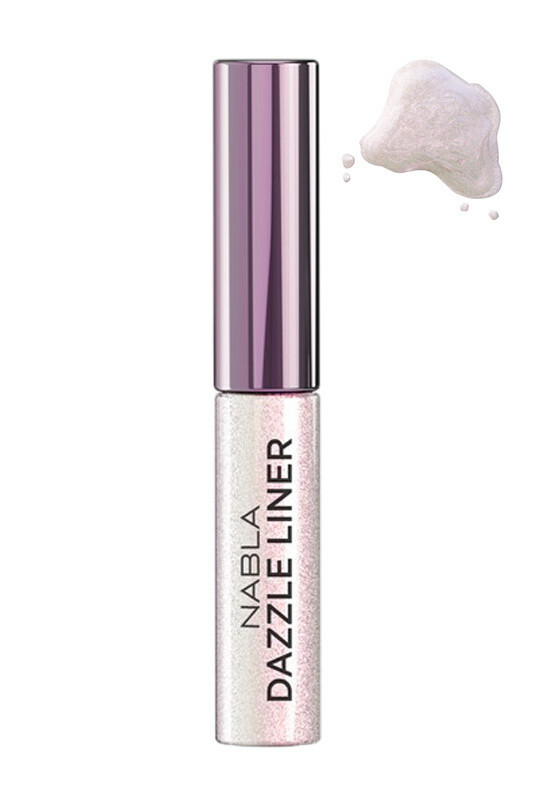 The NABLA Vegan Liquid Dazzle Liner is suitable for sensitive eye ! Klimt : aqua (water), ammonium acrylates copolymer, calcium aluminum borosilicate, mica, silica, pentylene glycol, glycerin, alcohol denat., sodium gluconate, xanthan gum, ethylhexylglycerin, glyceryl caprylate, helianthus annuus seed oil (helianthus annuus (sunflower) seed oil), cananga odorata flower extract, tin oxide, sodium dehydroacetate, honokiol, dehydroacetic acid, laureth-30, disodium deceth-6 sulfosuccinate. +/− (may contain): ci 77891, ci 77491, ci 15850.